This block is so versatile, you can change up the fabrics you use to create some very different looking quilts. 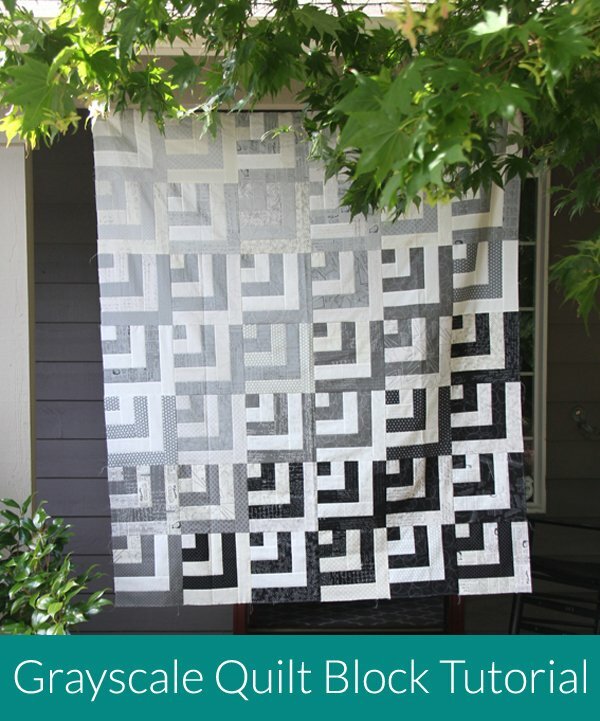 This quilt has a gradient look and focus, but you can create any theme you like. Use one color in two tones, two colors, or the whole rainbow! This tutorial is complete with great photos and step by step instructions. "I used two jelly rolls, but you could use one print jelly roll and solid jelly roll to cut down cost. If you want to lay out the blocks with with a gradient effect like I did, just make sure your darker jelly roll has some light and dark prints in it. If you’re new to jelly rolls, it contains 42 (but can be more or less) strips 2 1/2″ x the width of the fabric." "If I re-made this quilt I would probably add more dark/black blocks, or a color like navy blue so there weren’t so many gray/beige blocks. If you use two jelly rolls and the same cutting methods you’ll have lots of scraps left over to make pillows, a table runner, or maybe even a baby quilt!"